Today somebody asked me about getting GIS data into google earth. 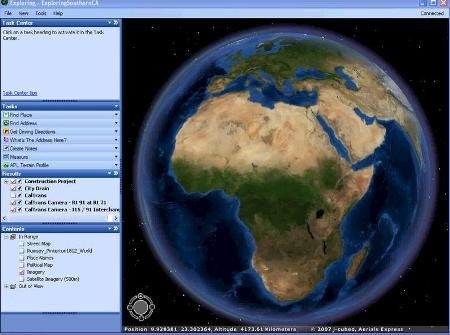 This software has the great advantage that you can see loads of different data that you don’t necessary have in your regular GIS, such as pictures of a site that is of your interest uploaded by the community , tracks, wikiinfo and so on. So there are good reasons for you to want your gis regular data displayed here. The problem that my friend had was that when he “imported” his data into google he realized that it was a little bit “off” place. Ok. This is basically due because the coordinate system he used was the one he had originally set for his data. KML only supports WGS84, so in order for you to display your data correctly you need to “reproject” your data to to WGS84. In arcgis (as in other software) this is really easy.